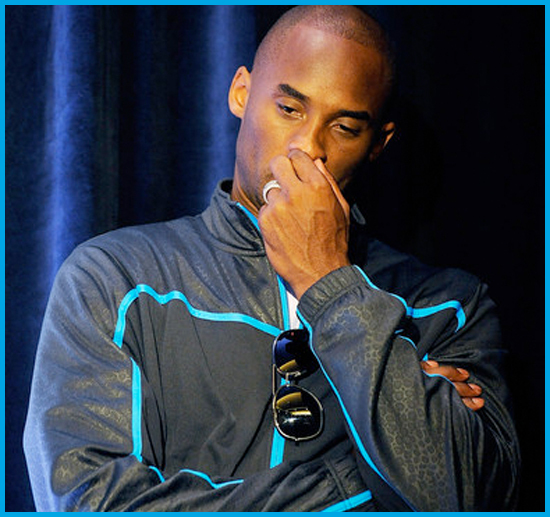 Home » Gossip » Kobe Bryant » Scandals » Did Kobe Bryant Cheat on Wife With 105 Other Women? Did Kobe Bryant Cheat on Wife With 105 Other Women? Well, that's what Vanessa Bryant is telling friends. Last week, Vanessa, 29, filed from divorce from NBA baller Kobe Bryant after a 10-year-married which produced two daughters. According to the National Enquirer, the real reason Vanessa is dissolving the marriage is that she suspected Kobe, 33, was cheating on her and a private detective confirmed her suspicions. "[Vanessa] estimated that he was averaging at least 10 affairs a year with different women over the course of their marriage and puts his number of conquests at 105," a friend told the tabloid. "The lies and deceit hurt, of course, but racking up those kinds of numbers is mind-blowing and left her devastated. And when she discovered he was cheating during the recent NBA lockout, that was the final straw. her private detective caught him redhanded with incriminating photos." Not even former teammate Shaquille O'Neal had those kind of numbers. Tiger Woods, on the other hand, he had Kobe beat. Vanessa is apparently telling friends she believe Kobe had a jumpoff in "every NBA city." One of his allegedly jumpoffs, whom he was seeing since 2008, sat courtside at games and openly flirted with Kobe. Vanessa was livid and reportedly told Kobe to dump her. Kobe allegedly was also jumping off with an 18-year-old Lakers cheerleader and they reportedly sexted intimate photos of one another. That evidence is in Vanessa's divorce lawyer's possession, too. When Vanessa confronted him about these two women, Kobe reportedly confessed and promised her he would change his ways and sought forgiveness by showering Vanessa with jewelry, cars and other expensive gifts. But after the PI, who was following Kobe for weeks, presented Vanessa with the incriminating photos, "names, addresses and other descriptions of illicit liaisons" Vanessa decided it was time to bail and she filed for divorce. Kobe reportedly begged and pleaded for her to give him another shot, but Vanessa was tired of being humiliated, according to the friend. Now she's going to walk away with half of his $300 million fortune because they had no prenup and California is a community property state. The divorce is pretty much finalized and Vanessa is gonna get her money.